Coordinated with the Battle of Midway as part the Pacific Theater of World War II, around the island of Amaxnax̂, at Dutch Harbor, the Japanese Navy attacked the American territory of the Aleutian Islands. On June 3rd and 4th, 1942, six months after the bombing of Pearl Harbor, they took the US Navy Weather Station on Qisxa island, Kiska in English, that held 12 Navy personnel. Two American soldiers lost their lives as the Japanese rounded up the island's residents. One man fled their capture, but turned himself in after about a month and a half of hiding on the island. One of the main reasons for the occupation was that is doing so they could control that shipping route corridor of the North Pacific. I have an Sugpiaq cousin who worked down in Dutch Harbor during the war when he was 16 years old, cleaning the pilot's sleeping quarters. 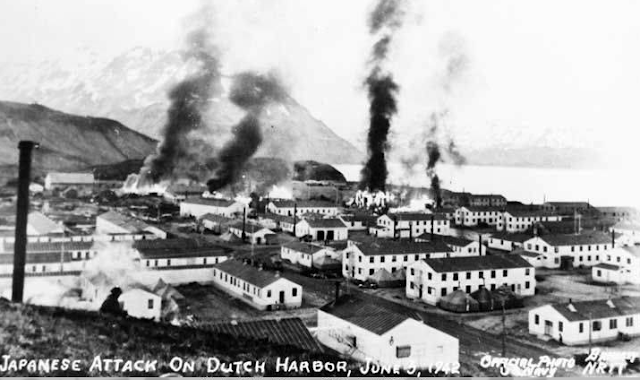 Picture of the June 3rd Attack on Dutch Harbor. 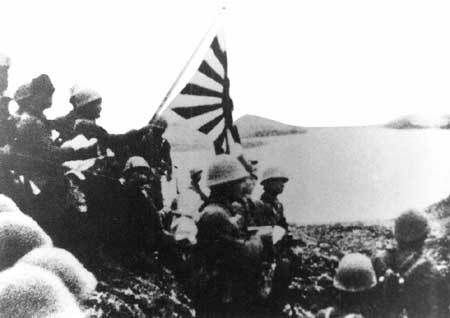 On June 7th, the 301st Independent Infantry Battalion of the Japanese Northern Army invaded the Aleutian island of Atan, or Attu in English. The axis fighters made 44 villagers, two of them non-Native, prisoners of war. The villagers remained captive for months before they removed them from the island and interned them at a prisoner of war camp at Otaru, Hokkaido. Half of the islanders would never return from the camp. 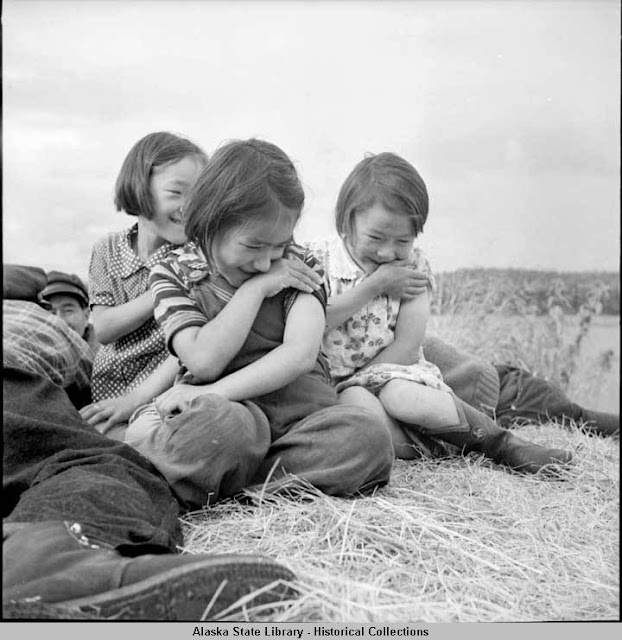 On June 12, 1942 the United States began forcibly removing 880 Unangax̂ people, and their associated family members, from their villages in the Aleutians. After making them help raze their homes, the government boarded them on ships. 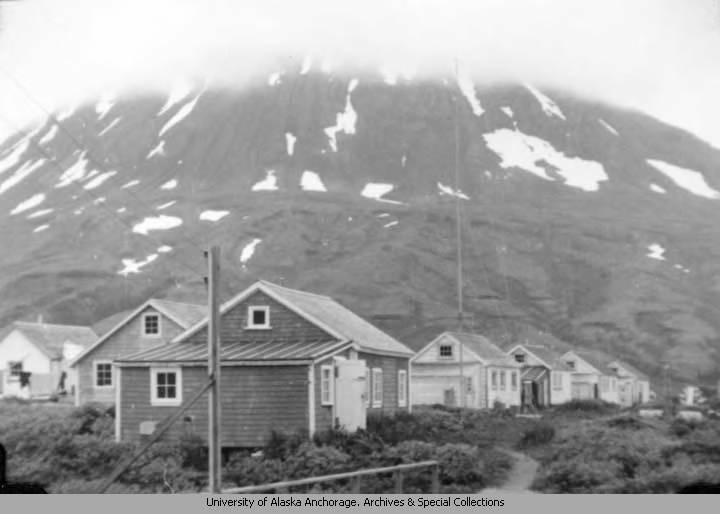 Once in the water, government transported Non-Native villagers to the contiguous part of the nation and the Unangax̂ people taken to dilapidated facilities along the Alaskan Panhandle. Over the following two years, due to unsanitary conditions, one in ten islanders would lose their lives in residence at the camps. Important to note that just 30 miles away from one camp, the United States kept German prisoners of war in more humane conditions then they did their own citizens. This month marks 73 years since the United States and Japan began the transnational project to intern the Unangax^. These islanders suffered great losses even though they were not at war with either nation. United States and Japanese efforts to fight one another worked together in dislocating a third group of people (note: Unangax̂ were and are US citizens). Hundreds of islanders would never return to their homes again, nor would they reunite with their Non-Native loved ones at the time of the war's end. Nick Golodoff was a child on Attu when the Japanese invaded and occupied the island. He returned to live his life away from the village after surviving the prisoner of war camp in Otaru. The reason why he didn't go back was because with so few remaining islanders the government choose to leave the village uninhabited, distributing them to other villages. 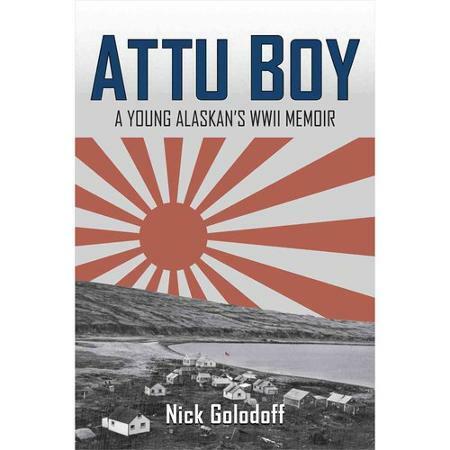 Golodoff wrote a beautiful memoir of his war time experiences in the book Attu Boy: A Young Alaskan's WWII Memoir. Leaving behind loving family, Golodoff passed away in 2013. Below is a moving interview he did with then KUBC reporter Stephanie Joyce in 2012.